The US State Department had not spelled out a clear policy, and the Pentagon didn’t seem to know if removing Iran and Iranian proxies was actually the official stance. The United States is laying the groundwork for a long-term commitment to eastern Syria that will include “stabilization” after the defeat of Islamic State and also the demand that “Iranian-commanded forces” leave Syria before the US withdraws. Over the last six months, this policy has increasingly crystalized. It was finally spelled out by US special representative for Syria engagement James Jeffrey at the end of last week. US intervention in Syria to target Islamic State began in September 2014 to stop the extremists from taking the Kurdish city of Kobani. By April 2016, the US support for the Kurdish People’s Protection Units and the Syrian Democratic Forces, the main partner force fighting ISIS, had expanded to include hundreds of US special forces and teams assisting the effort on the ground. The US presence expanded during the battle to liberate Raqqa in the summer and fall of 2017. This would include Iranian proxies and militias. But the US-led coalition did not see that as part of their mission. In a press conference on October 2, the spokesman for Combined Joint Task Force, Operation Inherent Resolve was asked about the Iranian issue. “First and foremost [our mission] is to destroy ISIS,” the spokesman said. “The second is to train local troops to eventually take over. And then for the Geneva process to start working.” A Pentagon Inspector-General report went a bit further. The US State Department had not spelled out a clear policy, and the Pentagon didn’t seem to know if removing Iran and Iranian proxies was actually the official stance. Instead, a US Assistant Secretary of Defense for International Security Affairs said that the US was “desegregating” efforts against ISIS, from the Iran policy, and that confronting Iran was an “ancillary” or “residual” benefit of having a US footprint in eastern Syria. The US military role in eastern Syria “indirectly helps affect Iran’s malign activities,” he said. The goal is not clear: The Iranian commanded-forces must go. This also means a “fundamental change in Iran’s role in Syria,” which the US says helped fuel ISIS. The US special representative also said that getting Iran out is not a military goal. That means the US won’t be trying to confront Iran on the ground in the Syrian areas held by the regime. He also said that Iran’s presence was a threat to US allies and partners, including Israel, Turkey and Jordan. “The Syrian government invited them [Iran] in, we expect the Syrian government to ask them to leave,” he said. Jeffrey noted that the US presence in Syria is made legally possible by a 2001 law that allows use of military force as part of the war on terror after 9/11. He also says that what the coalition calls “stabilization” is part of a “stage-four aspect to the military, political, diplomatic, and economic efforts” to ensure ISIS is defeated. Spelling out how the US mission in Syria is in the process of shifting from an anti-ISIS mission, to one that includes using eastern Syria as leverage against the Assad regime and its Iranian allies is important for the region. Over the last several years, the US presence and end-goal in Syria were not clear. What began as a war on ISIS grew as the US found partners in eastern Syria, particularly among the Kurds, who proved effective warriors against ISIS. Now, as “stabilization” takes place and the defeat of ISIS continues with battles along the Euphrates, Washington is seeking to explain what comes next. It appears that getting Damascus to remove not only Iranian forces but also those proxies and militias commanded by Iran’s Islamic Revolutionary Guard Corps, is the next step. PM Netanyahu and President Putin spoke by telephone four days after Putin’s meeting with US President Donald Trump in Moscow, in which both leaders spoke of the importance of Israel’s security. Israel will continue to act against Iran in Syria, Prime Minister Benjamin Netanyahu told Russian President Vladimir Putin on Friday as Syrian rebels were due to evacuate the border area near Israel’s Golan Heights. Netanyahu and Putin spoke of regional developments and the situation in Syria, according to the Prime MInister’s Office. He said that, “Israel would continue to act against the establishment of an Iranian military presence in Syria,” Netanyahu said. President Bashar al-Assad’s forces are due to resume control of Syrian area of the Golan Heights. “We are awaiting the start of the operation and God willing it will happen today,” Hammam Dbayat, the governor of al-Quneitra province, told Reuters, as buses prepared to transport out rebel fighters to the northwestern province of Idlib. Reuters footage filmed from the Israeli side of the frontier showed men climbing into trucks piled high with belongings and leaving al-Qahtaniya village at the Golan frontier. It was not clear where they were headed. Tens of thousands of people have been sheltering at the frontier since the government offensive began one month ago. With the Russian-backed offensive closing in, rebels in Quneitra agreed on Thursday to either accept the return of state rule, or leave to Idlib province in the north, echoing terms imposed on defeated rebels elsewhere in Syria. Idlib’s population has been swollen by Syrians fleeing from Assad’s advances elsewhere. The offensive has restored Syrian government control over a swathe of the southwest, strategically vital territory at the borders with Jordan and Israel. It has been one of the swiftest military campaigns of the seven-year-long war. The United States, which once armed the southern rebels, told them not to expect its intervention as the offensive got underway. Many surrendered quickly. While swathes of Syria remain outside his control, Assad’s advances over the past two years have brought him ever closer to snuffing out the armed rebellion that grew out of a civilian uprising against his rule in 2011. It leaves the insurgency with one last big foothold – a chunk of territory in the northwest at the border with Turkey stretching from Idlib province to the city of Jarablus northeast of Aleppo. The deployment of the Turkish military in this area will complicate further gains for Assad. Large areas of the northeast and east also remain outside Assad’s grasp. These areas are held by Kurdish-led militias, supported by 2,000 U.S. troops on the ground. State TV said 10 buses had entered a village in Quneitra on Thursday night for the evacuation of insurgents “who refuse to settle with the state” towards rebel territory in the north. The offensive sparked the largest exodus of the war, uprooting more than 320,000 people mostly towards the southern borders. Both neighbors Israel and Jordan said they would not take in refugees. Many people left the frontier with Jordan after government forces took the Nassib border crossing and rebels in Deraa province agreed a surrender deal last week. Hit ’em hard, my Israeli friends. And hit ’em where it hurts. Syrian state media said early Tuesday that two Israeli missiles struck near Damascus International Airport, without adding any details. He said the air strike took place at 1:00 am local time “without causing huge explosions” even though they hit the weapons stores. Israel has warned of a growing Iranian military presence in neighbouring Syria, which it sees as a threat to its safety. Its military has been carrying out strikes on Iranian and Iran-affiliated targets in Syria, with a US official saying it was Israeli forces that carried out a deadly strike against an Iraqi paramilitary base in eastern Syria on June 17. On Sunday, forces loyal to the regime of Syrian strongman Bashar Assad reportedly took control of an abandoned UN post in the no-man’s land between the Israeli and Syrian areas of the Golan Heights. The post, abandoned by United Nations Disengagement Observer Force (UNDOF) troops on the Golan, is meant to be free of both Israeli and Syrian troops, according to the cessation of hostilities agreement between the two countries that followed the 1973 Yom Kippur War. According to the report, UNDOF has identified ongoing infrastructure work at the site. The report came just hours after an Israeli Patriot missile was fired at a drone that approached from Syria toward Israel’s airspace. Israeli officials believe the drone belonged to regime forces. According to Hebrew-language reports, the IDF is bracing for an uptick in fighting in Syrian areas adjacent to the Israeli border, and expects incidents of stray fire to enter Israeli territory. As fighting between the main factions in the Syrian civil war threatened to overwhelm UNDOF positions, the UN troops left the demilitarized buffer zone for Israel in 2014. In an astounding series of statements, Russia has made it clear that it expects all foreign forces to withdraw from Syria. Alexander Lavrentiev, President Putin’s envoy to Syria, specified on May 18, 2018, that all “foreign forces” meant those forces belonging to Iran, Turkey, the United States, and Hizbullah. Russian Foreign Minister Sergey Lavrov added this week that only Syrian troops should have a presence on the country’s southern border, close to Jordan and Israel. Previously, Russia had been a party to the establishment of a “de-escalation zone” in southwestern Syria along with the United States and Jordan. Now, Russian policy was becoming more ambitious. Lavrov added that a pullback of all non-Syrian forces from the de-escalation zone had to be fast. The regime in Tehran got the message and issued a sharp rebuke of its Russian ally. The Iranians did not see their deployment in Syria as temporary. Five years ago, a leading religious figure associated with the Revolutionary Guards declared that Syria was the 35th province of Iran. Besides such ideological statements, on a practical level, Syria hosts the logistical network for Iranian resupply of its most critical Middle Eastern proxy force, Hizbullah, which has acquired significance beyond the struggle for Lebanon. Over the years, Hizbullah has become involved in military operations in Iraq, Saudi Arabia, Yemen, and elsewhere. Without Syria, Iran’s ability to project power and influence in an assortment of Middle Eastern conflicts would be far more constrained. Syria has become pivotal for Tehran’s quest for a land corridor linking Iran’s western border to the Mediterranean. The fact that Iran was operating ten military bases in Syria made its presence appear to be anything but temporary. Iran was hardly a perfect partner for Russia. True, some Russian specialists argued that Moscow’s problems with Islamic militancy emanated from the jihadists of Sunni Islam, but not from Shiite Islam, which had been dominant in Iran since the 16th century. But that was a superficial assessment. Iran was also backing Palestinian Sunni militants like Islamic Jihad and Hamas. This May, Yahya Sinwar, the leader of Hamas in the Gaza Strip, told a pro-Hizbullah television channel that he had regular contacts with Tehran. Iran was also supporting other Sunni organizations like the Taliban and the Haqqani network in Afghanistan and Pakistan. It harbored senior leaders from al-Qaeda. Indeed, when the founder of al-Qaeda in Iraq, Abu Musab al-Zarqawi, sought a regional sanctuary after the fall of Afghanistan to the United States, he did not flee to Pakistan, but instead, he moved to Iran. There is no reason why Iran could not provide critical backing for Russia’s adversaries in the future. But that was not the perception in Moscow when Russia gave its initial backing for the Iranian intervention in Syria. In the spring of 2015, Moscow noted that the security situation in Central Asia was deteriorating, as internal threats to Uzbekistan, Kazakhstan, and Tajikistan were increasing. On top of all this, the Islamic State (IS) was making its debut in Afghanistan. An IS victory in Syria would have implications for the security of the Muslim-populated areas of Russia itself. It was in this context that Russia dramatically increased arms shipments to its allies in Syria. It also coordinated with Iran the deployment of thousands of Shiite fighters from Iraq and Afghanistan under the command of Iran’s Revolutionary Guards Corps (IRGC). That also meant the construction of an expanded military infrastructure on Syrian soil for this Shiite foreign legion. At the same time, Russia maintained and upgraded a naval base at the Syrian city of Tartus and an air facility at the Khmeimim Air Base near Latakia. Moscow also had access to other Syrian facilities as well. What changed in Moscow? It appears that the Kremlin began to understand that Iran handicapped Russia’s ability to realize its interests in the Middle East. The Russians had secured many achievements with their Syrian policy since 2015. They had constructed a considerable military presence that included air and sea ports under their control in Syria. They had demonstrated across the Middle East that they were not prepared to sell out their client, President Bashar Assad, no matter how repugnant his military policies had become – including the repeated use of chemical weapons against his own civilian population. The Russians successfully converted their political reliability into a diplomatic asset, which the Arabs contrasted with the Obama administration’s poor treatment of President Hosni Mubarak of Egypt at the beginning of the Arab Spring in 2011. However, now Iran was putting Russia’s achievements at risk through a policy of escalation with Israel. The Russian security establishment appeared to understand from the start that Israel’s strategy in Syria was essentially defensive. For example, Israel wanted to prevent the delivery of weapons to Hizbullah that could alter the military balance in its favor. One feature of Russian military policy at a very early stage was the carte blanche Moscow appeared to give Israel to strike at these weapons deliveries and later at Iranian facilities across Syria. According to one report, a Moscow think tank, closely identified with President Putin, published a commentary blaming Iran for the deteriorating situation between Iran and Israel in the Syrian theater. The Sunni Arab states, which Russia was courting, were also voicing their concerns with growing Iranian activism. Undoubtedly, the Russians noticed the complaints that came from Tajikistan this year that Iran was seeking to destabilize the country by funding militant Islamists. 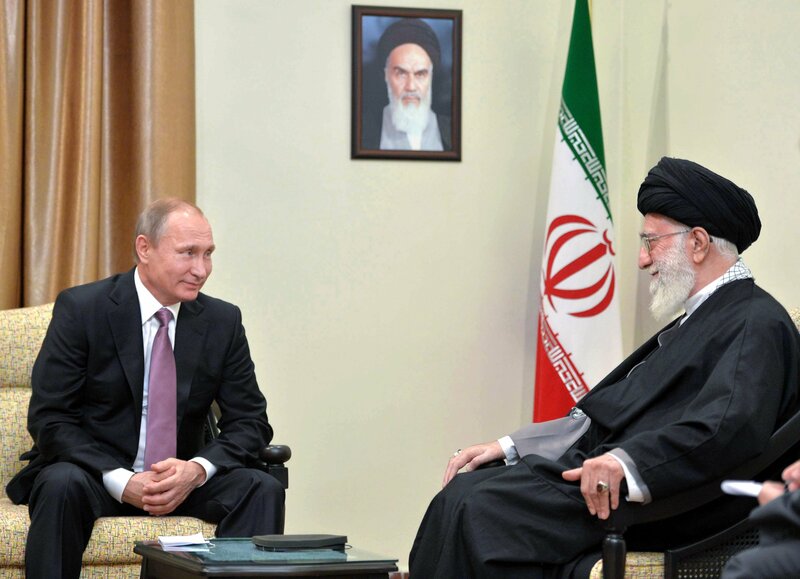 Putin seemed to have growing reservations about Iran’s policy of exporting the Islamic revolution from the soil of Syria. Now, with IS fundamentally vanquished, Iranian military activity in Syria lost its primary justification. And if Moscow was considering to more closely coordinate its Middle Eastern policy with Washington in the future, it needed to adjust its approach to Iran. Russia is not cutting its ties with Iran. But it is clearly cutting back Iran’s freedom of action in Syria. The idea that Russia would back Iran’s use of Syria as a platform for operations against Israel or Jordan is not tenable. Still, Russia would remain the primary supplier of Bashar Assad’s army in Syria as well as his strategic partner. Unquestionably, Iran would need to reassess its Middle Eastern strategy after Moscow’s pronouncements calling for it to leave Syria and not continue to be perceived as the force that put at risk all that Russia had achieved as a result of the Syrian civil war. “Wherever Iran has confronted its enemies, it has advanced; we have gained our power through difficult battles,” Salami said, according to the semi-official Fars news agency. While Salami’s immediate subject was the reports of European efforts to salvage the Iran nuclear deal following US President Donald Trump’s decision to pull out of the 2015 agreement on Tuesday, his words also seemed to refer obliquely to the Israeli operation, which struck 50 Iranian targets in Syria after 20 rockets were fired toward Israeli military positions in the Golan Heights, according to the IDF. 28 Israeli fighter jets participated in the attack and Israel also fired more than 10 tactical ground-to-ground missiles, a Russian Defense Ministry statement quoted by Interfax news agency said. European countries are powerless to salvage the Iran nuclear deal, Salami said. Iranian media is portraying the confrontation as an unprecedented Syrian attack on Israel. Other Iranian media sources, including Mashregh News, Iranian Student News Agency, and others, have presented the events in similar terms. Responding on Twitter to a CNN report on the Israeli strikes, Syrian Member of Parliament Fares Shehabi denied that Iranians had launched the rockets against Israel. It is time we strike back at Tel Aviv and not only at the occupied Golan Heights! Speaking to reporters Thursday morning, IDF spokesperson Brig-Gen. Ronen Manelis said that none of the 20 rockets fired from Syria had struck Israeli territory. “Iron Dome intercepted the rockets. There are no injuries and no damage was caused to IDF positions,” Manelis said. Manelis also clarified that Israel had targeted Iranian forces in Syria. 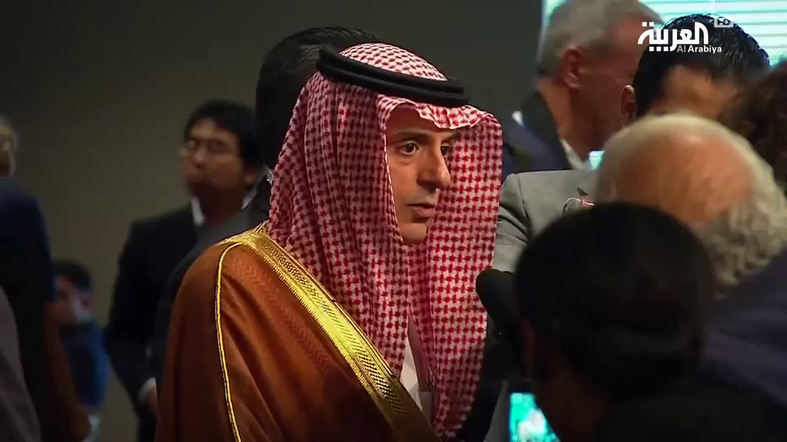 Saudi Arabia will seek to develop its own nuclear weapons if Iran does, Foreign Minister Adel al-Jubeir told CNN on Wednesday, amid spiraling tension between the regional rivals. Saudi Arabia has long said it would match any Iranian weapons development, but Jubeir’s renewed vow came after US President Donald Trump pulled the United States out of an accord designed to prevent Tehran’s alleged quest for the bomb. And it came amid growing tension over Iran’s support for the Houthi rebels in Yemen, who have been firing rockets across the border. Riyadh, which is part of a regional coalition that intervened in Yemen’s civil war to fight the Houthis, accuses Iran of supplying the militia with ballistic missiles. “These missiles are Iranian manufactured and delivered to the Huthis. Such behavior is unacceptable. It violates UN Resolutions with regards to ballistic missiles. And the Iranians must be held accountable for this,” Jubeir told CNN.